Victoria has plenty of places to see and do for the kids. We have Melbourne for kids covered with an online guide full of music classes, dance classes, swimming lessons, gymnastics, soccer clubs, cricket, shows, family days out, school holiday ideas, party ideas and more. All the information is quickly available including dates, times, locations, costs, contact details plus a map to get you there! Discover fun activities and events for kids. Near you. At Melbourne’s Premier Music School Latitude Music Studios, located in Surrey Hills, students learn how to play, create, and think with musical integrity. We offer instrumental lessons in piano, violin, flute and much more. 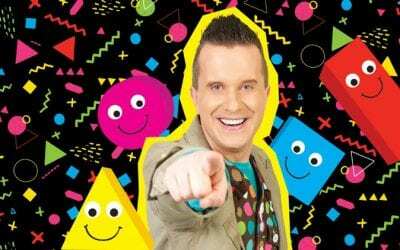 Mister Maker Returns in 2018!